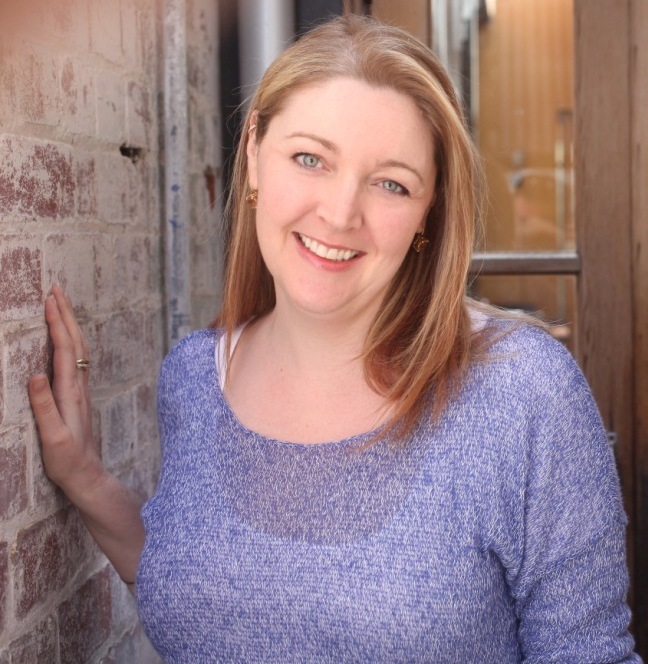 Emmie Dark Answers Juliet’s Ten Awkward Author Questions! + Giveaway! Today I’d like to welcome Emmie Dark to the blog! You do go straight for the heart! 🙂 Okay, my truthful answer is the one I’m writing now – title-less, only five chapters written, and I’m totally smitten by it. The hero is the hero of my heart – if I could find a way to make him walk off the page and into my life, I’d do it! Hmm. I’d like to think more than one of these apply to me. But I’ll go with neat. I travel a lot for work, and my friends and family are always amazed that by ten minutes after getting in the door, my suitcase is unpacked, put away and the first load of washing is in the machine. I think probably more than one of these apply to me too! I’ll go with Always Late. Not by very much, but I’m regularly a ‘just past the hour’ than ‘before the hour’ kind of person. Every single hero I’ve written! I always fall in love with my heroes. In my book “In His Eyes” that comes out in August, I have a secondary character called Morris who’s a grumpy old guy with a heart of gold. I think I’m a little in love with him, but it’s more of a girl-crush than a romantic one. Yes, I have done that! I also read some of my dialogue aloud – I sometimes wonder what my neighbours are thinking! Well, there’s an easy awkward question given I’ve already answered it! 😉 Yes, I will definitely read dialogue aloud. I also find when I’m coming up with plot and character arcs, I need to talk them through with someone. I have a few friends and a couple of crit partners who are handy sounding boards. I’m loving the show “Once Upon a Time” at the moment and I’d love to say Jennifer Morrison. But she’s not really like me – probably I’d more accurately go with someone more quirky, like Tina Fey. I’d like to be Bastian in The Neverending Story. He gets to have a fabulous adventure and once he’s overcome the Nothing, he gets to create a whole new Fantasia for himself. I’ve always loved that book and I’d very much like to have my own luckdragon. This is a very tough one! I’m hopeless writing long-hand, so the pen and paper would be no use to me. I think I’d probably like an unlimited supply of book, but I’d be lost without an occasional glass of chardonnay. And a gorgeous companion… sigh. I’ll go with books. At least then I can imagine wine and heroes! Be kind to each other. That’s all. Thanks for participating, Emmie. You have been awarded Ultra-Brave Author status on the Braveometer! 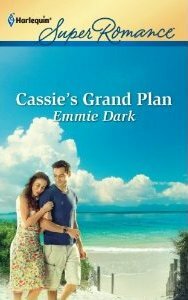 Check out Emmie’s new book, CASSIE’S GRAND PLAN. PLUS, to WIN a copy, leave a comment for Emmie below! …What about you, do you have a Grand Plan for your life? Posted on April 9, 2012, in Interviews, Ten Awkward Author Questions and tagged author interviews, books, emmie dark, romance, ten awkward author questions. Bookmark the permalink. 8 Comments. You’re a new author. I’ve never read your book. Congrats for the release. Btw, my grand plan is to be a housewife. I love being around kids. One thing that I have to do before being housewife is travel to Europe. It’s been more than 5 years that I’ve dreamt about. Hopefully, by next two years I can go there. My grandest plan is to be a published writer, in both hot, hot, hot romance and SF. This year (at 58 years young) I have embarked on a secondary grand plan. I am at Uni studying for a BCS in photography. As for Juliana. go for it! Europe (and the rest of the world) is wonderful to explore – enjoy it while you can. Hi Juliana — yes, Cassie’s Grand Plan is my first novel. My second will be out with SuperRomance in August. I love your plan — and travel is always an awesome dream to have. Hope you get to Europe — from what I understand, it’s easier to do that before the kids come along! Hi Natasha — I wish you the very best of luck with your publishing goals. There’s no feeling like it, I have to tell you — it’s worth all the hard work and disappointments along the way. Good luck!! Hi Emmie, I envy you for being neat. I’m the complete opposite! Loved reading about you here Emmie. Thanks for sharing about your processes! Thanks for asking these questions to Emmie, Juliet! Emmie, reading your answers is interesting! Thanks for sharing! Thanks for participating in the blog, Emmie. I am ‘always late’ too, and I also loved The Neverending Story – one of my favourite films as a kid. All the best with Cassie’s Grand Plan!